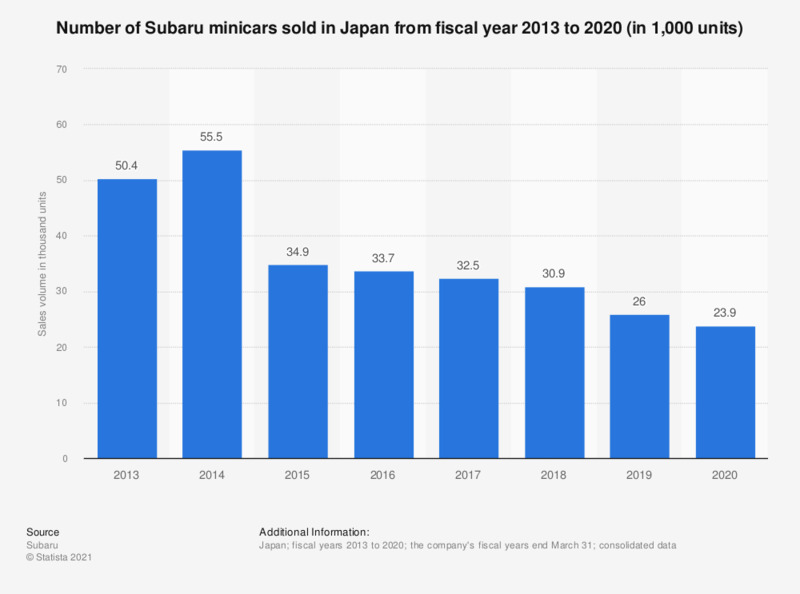 This statistic illustrates the number of minicars sold domestically by the Japanese motor vehicle and aerospace manufacturer Subaru Corporation from fiscal year 2013 to 2018. In fiscal 2018, the sales volume of Subaru mini vehicles in Japan amounted to approximately 31 thousand units, down from about 50 thousand units in fiscal year 2013. Statistics on "Automotive industry in Japan"